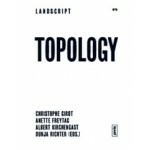 How can an abstract term like “Topology” become pertinent and effective to landscape thinking today? There is a schism between the way landscape is understood scientifically, either as a normative network or an environmental system, and the way the same place exists emotionally for people. This disparity which prevails in today’s landscape calls for a change of approach, both in terms of action and perception. Topology, in this instance, is not confined to the science of continuous surfaces in mathematics, it can pay greater attention to deeper spatial, physical, poetic and philosophical values embedded in a long tradition of designed nature. 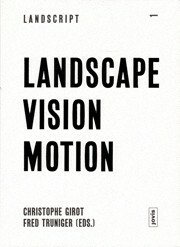 The strength of landscape topology is that it can weave together and integrate heterogeneous fields of action into a single meaningful whole. It brings disciplines together on a common topological “vellum” capable of improving our understanding of landscape as a cultural construct with all its inherent beauty and strength. 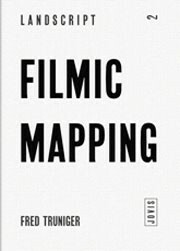 With contributions by: Annemarie Bucher, Gion A. Caminada, Erik de Jong, Stefan Körner, Norbert Kühn, Vittorio Magnago Lampugnani, Lothar Schäfer, Joseph Schwartz, Michael Seiler, Antje Stokman, Wulf Tessin, Jörg Zimmermann.